A professional template with a modern design. 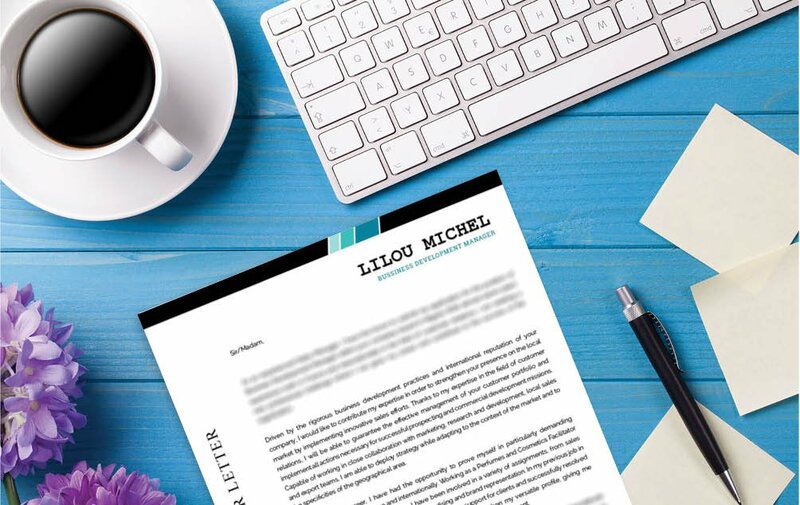 Straight forward and functional – the perfect cover letter for business candidates! 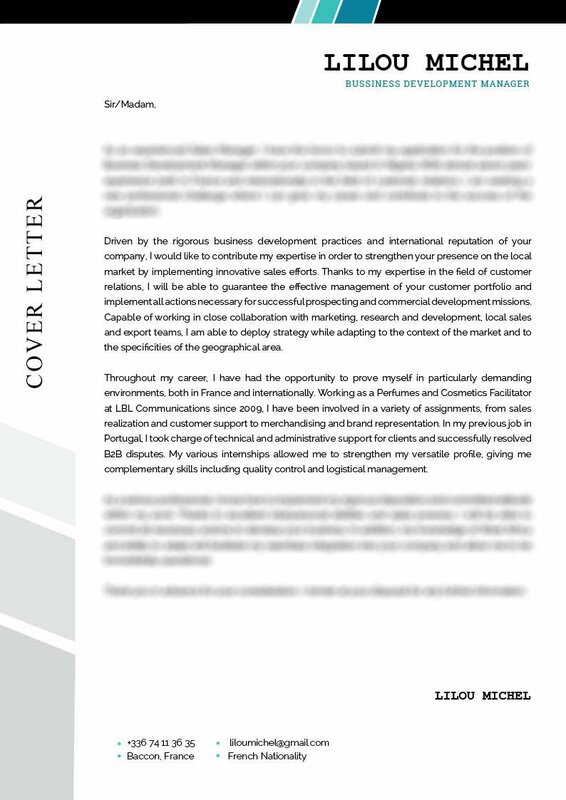 Cover letter to download "Sales-1"
Since the modern job search requires a candidate to be full of rigor and tenacity, this cover letter is just perfect! 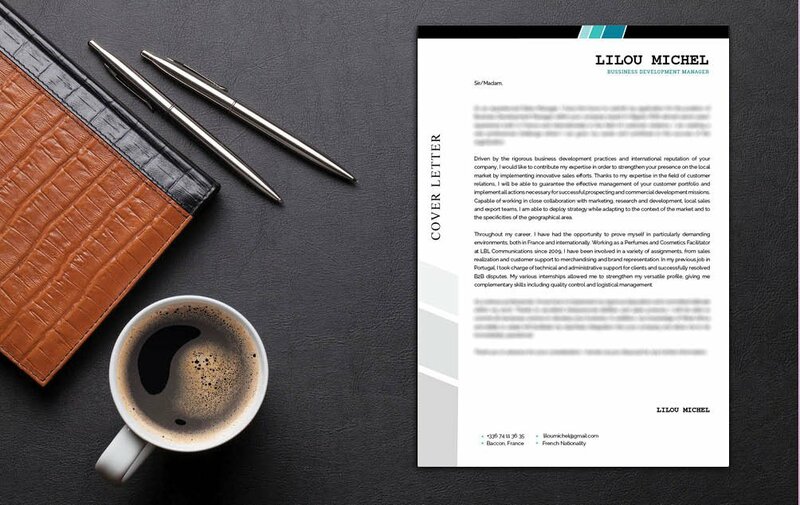 This professional cover letter template features a great selection of colors, shapes, and texts that create an eye-catching and effective CV format that can be used jobs in the Business Development Manager field. 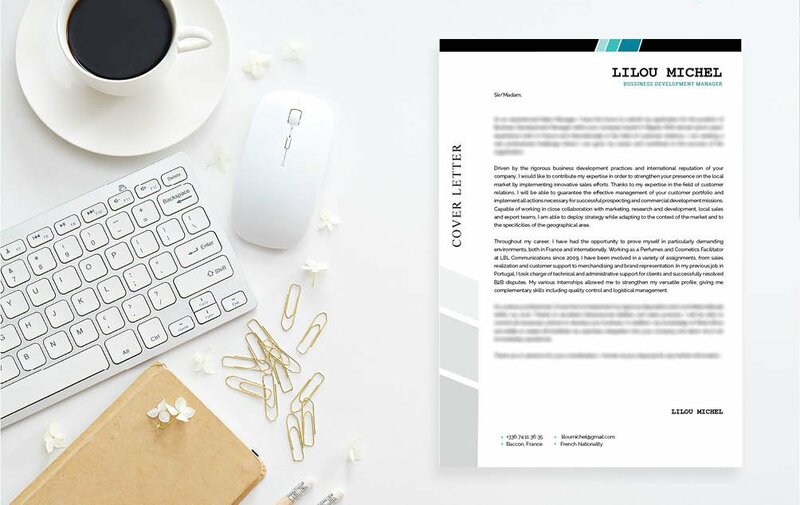 Applicants who are full of potential and excellent qualifications will find this cover letter a perfect fit since it presents all the key information clearly and with great detail that is sure to impress your potential employer! Your font should be limited to only three sizes and styles. Ideally, you should select a simple, yet professional font like Serif or Calibri, your texts should only be limited to two colors max, and your style changes should only include italic and bold texts. It's maybe nice to attract more attention, but try to do this with your qualifications, not with a dizzying array of fonts and colors.